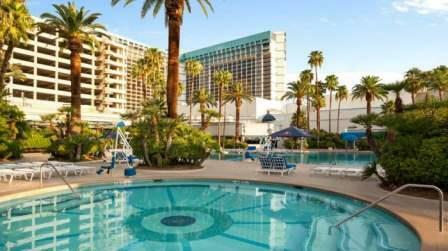 Resort fee: You will be charged a $39.68 resort fee (per room, per night) by the hotel. Includes in-room Wi-Fi for two devices per day at the Premium Wi-Fi speed of 20 mbps, fitness center passes for two per day and all local calls. Resort fee: $39.68 per night payable at hotel. 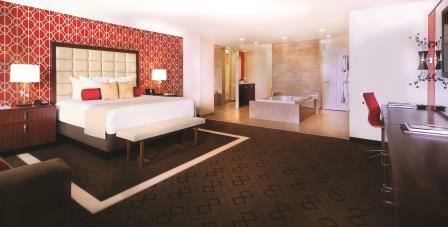 Bally's Las Vegas is ideal for those who appreciate classic hotels, right in the center of the action. 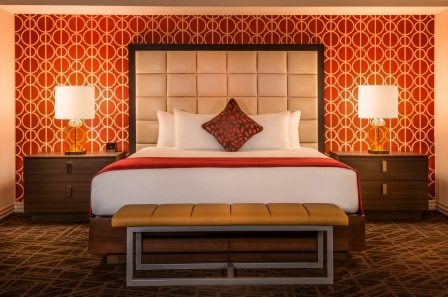 While this hotel captures the feel of Old Vegas, recently renovated rooms have all new furnishings and upgraded amenities like flat-screen TVs, docking stations and pillow-top beds. 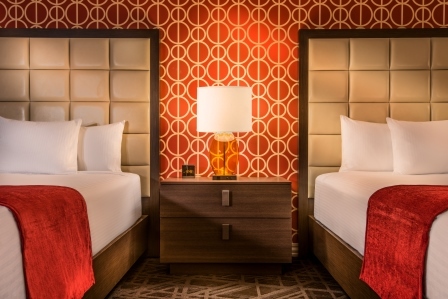 Stay in the stylish Jubilee rooms featuring ultra-modern accommodations with red patterned accent walls, plush upholstery and rich woods. 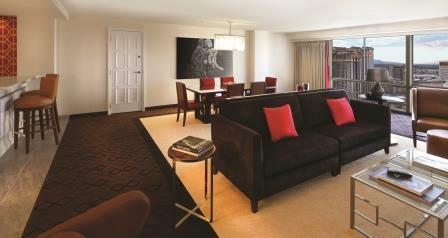 Oversized, outdoor heated pool, highlighted by palm trees and attentive poolside service. Home of the Strip's biggest tennis complex with eight lighted courts. An authentic, original exhibition on human anatomy. 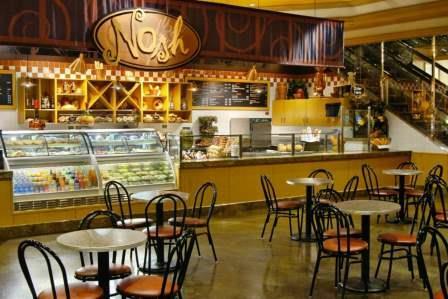 A unique indoor entertainment venue featuring black light mini golf, bowling, arcade games and more. - Masters of Illusion: America's largest touring magic show starring the world's greatest award winning magicians. - Paranormal - Mind Reading Magic: International mentalist Frederic Da Silva showcases the powers of his mind. - Wayne Newton: Up Close and Personal: Mr. Las Vegas makes his return to the stage with an all-new and original production. - Solid Gold Soul: The Magic of Motown, features the top headliners of soul impersonators. - The Tom Green Show: Unique stand-up comedy by the anything-goes film actor, TV talk-show trickster and interactive Internet pioneer.